It was a beautiful day. 75 degrees and partly cloudy in late December. I was so excited that I could go out without a sweater that I had to get outside. Had to. 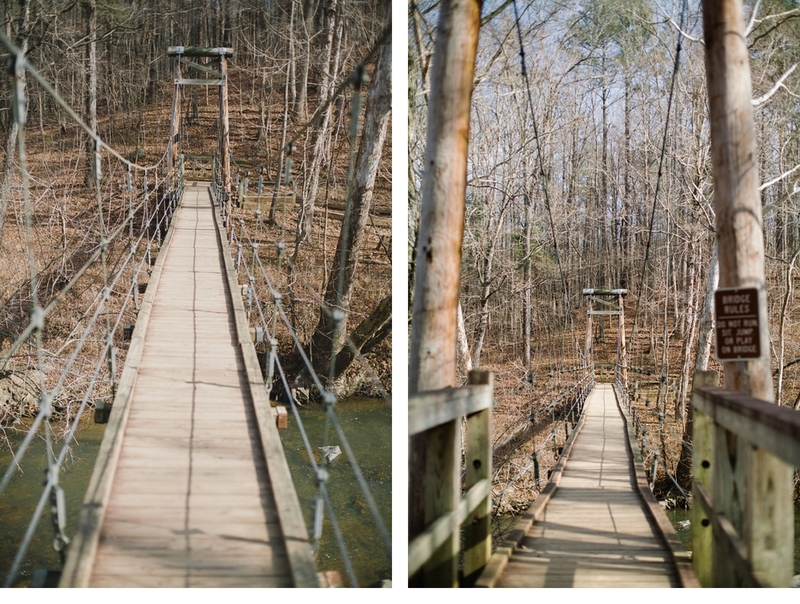 And I've been wanting to find this foot bridge since we moved to Durham. I am lucky enough that one of my brides loves the Eno as much as I do and told me exactly where it is. It was great. We also found a cabin in the woods. We fjorded a river. My children are monkeys. And all of these shots, I'm armed only with my 50mm lens.